Giving awesome photos when you are outdoor with microwear products. It is simple. 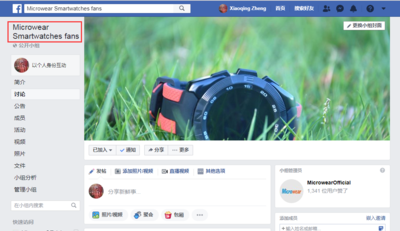 You use your Microwear smart watch or smart bracelet, take photos when you are with it when you are doing sports: walking, running, climbing, basketball and so on, there’s no limit on sports. If you’re talented in your favorite sport/activity, you’re eligible. We will give one of our new 4G waterproof android H7 smart watch for the best photo we choose from the participants. 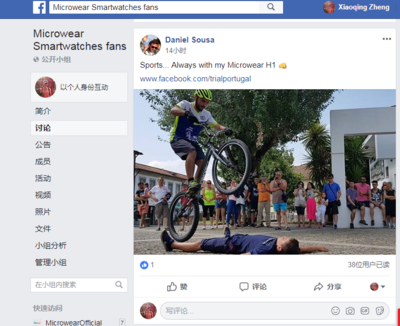 Join in us and share your sports time right now at our Microwear fans group at Facebook ! 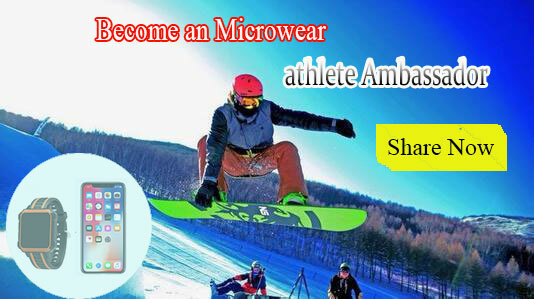 How to join in to become an Microwear athlete Ambassador? PS : If you are not would like to join our group, you could also share your sports photos at you FB then tag(@) MicrowearOfficial and 3 of your friends to let us know. 3. After the period ended on Augest 19, Microwear will pick one photo from fans to be our Become an Microwear athlete Ambassador, then we will ship our new model H7 to him/she .